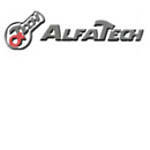 Alfatech is our authorized VAR Partner for Italy since 1996. From the beginning, Alfatech has delivered complete Solutions - based on and around the PAL Autosampler. Alfatech offers PAL products as well as service and Support. 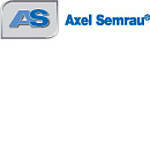 Axel Semrau is our authorized VAR partner for Germany and Austria. Axel Semrau delivers complete solutions - based on and around the PAL Autosampler. With Chronos, Axel Semrau has introduced a software package to control the PAL platform and 3rd party devices in one solution. Axel Semrau offers PAL products as well as service and support. 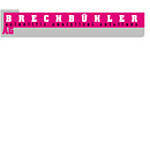 Brechbühler has been our authorized VAR partner in Switzerland for over 20 years. From the beginning, Brechbühler has delivered complete solutions - based on and around the PAL Autosampler. Brechbühler offers PAL products as well as service and support. Chromtech has been our authorized VAR partner for Germany for over 20 years. From the beginning, Chromtech has delivered complete solutions - based on and around the PAL Autosampler. With a broad range of innovative options, Chromtech was enhancing the PAL System to a SamplePrep instrument. Chromtech offers PAL products as well as service and support. 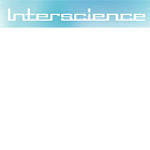 Interscience has been our authorized VAR partner for Belgium and the Netherlands for more than 20 years. From the beginning, Interscience has delivered complete solutions and applications based on the PAL System. Interscience offers PAL products as well as service and support. JSB UK & Ireland is our new authorized VAR partner for the United Kingdom and Ireland since 2015. JSB UK and Ireland is providing complete solutions, service, support and consumables - based on and around the PAL System Platform. Kinesis is an award-winning leading international supplier and servicer of chromatography, liquid handling, sample storage and medicinal chemistry consumables and equipment. Kinesis products are used extensively in the Pharmaceutical, Environmental, Forensic, Life Sciences, Food, Biotechnology and Academic Markets. 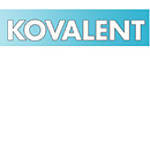 Kovalent is our authorized VAR partner for Sweden since 2005. From the beginning, Kovalent has delivered complete solutions - based on and around the PAL Autosampler. Kovalent offers PAL products as well as service and support. Pragolab is our authorized VAR partner for the Czech and the Slovak Republic since 2012. With their broad experience in LC- and GC-MS you will find the right partner for automated sample preparation and sample handling solutions based on the PAL System. Pragolab offers PAL products as well as service and support.